Porto Rafael is a wonderfully wild place where luxurious villas are carefully integrated into the scenery. Extremely comfortable but well hidden properties are blended into the Mediterranean vegetation. This is the ideal site for clients who like to live in the very lap of luxury without being ostentatious. 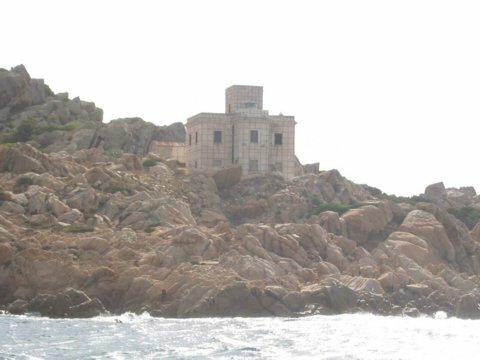 Close by there is the 'Baia of Nelson, the Yachting Club, Cala Martinella and the Lighthouse of Punta Sardegna'. The island of 'Spargi' is just offshore. One of the favourite destinations for tourists staying in the holiday village of 'Costa Serena' are the beautiful beaches of 'Cala di Trana' and 'Le Piscine'. Houses and flats available composed of 2, 3 or 4 rooms. My map software doesn't show enough detail to determine which roads will get you to Porto Rafael. But from Palau I believe Porto Rafael is northwest of there.